Perkasie Borough is committed to maintaining a business-friendly relationship in which all commercial activity can flourish. Please call us if you have any questions or concerns. We are here to help you! Before establishing a business within Borough limits, you must contact the Zoning Officer to make sure the chosen location allows the proposed business type. In order to establish a business in a particular location, a zoning variance may be required. The Zoning Officer and Code Enforcement Officer can assist you in assuring that the proposed business will meet all borough codes prior to any investment being made. A use and occupancy permit is required for any business established within borough limits prior to opening. This includes established businesses that are acquired by a new owner. Permit applications may be obtained at Borough Hall, 620 West Chestnut Street and the cost shall be determined by the fee schedule. Be aware a Certificate of Use & Occupancy must be obtained prior to the start of business operations. Businesses interested in rental space in the Borough should call Perkasie Borough Hall at (215) 257-5065 and ask to speak with the Office of Economic Development. A home occupation is considered a non-residential use conducted within or administered from a portion of a dwelling used as a permanent residence that meets the definition of general home occupation or light home occupation and is the secondary use of the dwelling. A permit application can be obtained at Borough Hall. The review and approval/disapproval are handled by the Borough Manager. Electric service is provided by the Perkasie Borough Electric Department. A security deposit may be required for new accounts. All accounts are billed monthly with bills being mailed at the end of each month and due on or around the 15th of each month. Please call 215-257-5065 to establish electric service prior to start of operations and also to cancel service before vacating the premises. 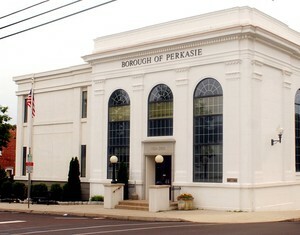 Perkasie Regional Authority, 150 Ridge Road in Sellersville, provides the Borough with water and sewer service. PRA and its predecessor, the Perkasie Water Company, has been supplying Perkasie Borough and East Rockhill Township with safe, reliable drinking water since 1895. The water quality always meets or exceeds EPA standards. For water and sewer service, call 215-257-3654 weekdays, 8 a.m. to 4:30 p.m. The principal borough taxes are Earned Income Tax (E.I.T.) and real estate property tax. The E.I.T. rate is 1.5% that is split between the borough (.5%) and the Pennridge School District (1.0%). Any vegetation not planted as ornamental or edible may not grow in excess of 10 inches in height. Trees located along any borough street must be maintained as to not interfere with utility wires along the street. Tree branches must also be maintained as to not obstruct the view of the street from the operators of vehicles along the street. Sidewalks must be kept free from snow and ice along a 3-foot width for the entire length of the sidewalk. Businesses must do so within six hours of snow or ice cessation. If cessation occurs after 6 p.m., removal must be completed prior to noon the following day. Snow or ice may not be deposited on or against a fire hydrant, on any street, or on another property without the express permission of the owner of that property. Piles of snow may not accumulate along a borough street, within six feet of the street unless no higher than three feet. Permits are required for most new construction, renovation and demolition within Borough limits. Please call Borough Hall prior to making any such changes. Go to Fee Schedules to find costs associated with construction or demolition projects. Businesses are required to participate in the trash and recycling program and can choose their own hauler, Borough or private. To decide if you would like to participate in the Borough’s in-house program check out the Trash Ordinance, Schedule and Rules and Regulations and the Trash Program report. If you choose to use a private hauler for trash collection, please be sure the company is licensed in Perkasie Borough by asking them directly or calling Borough Hall, 215-257-5065. 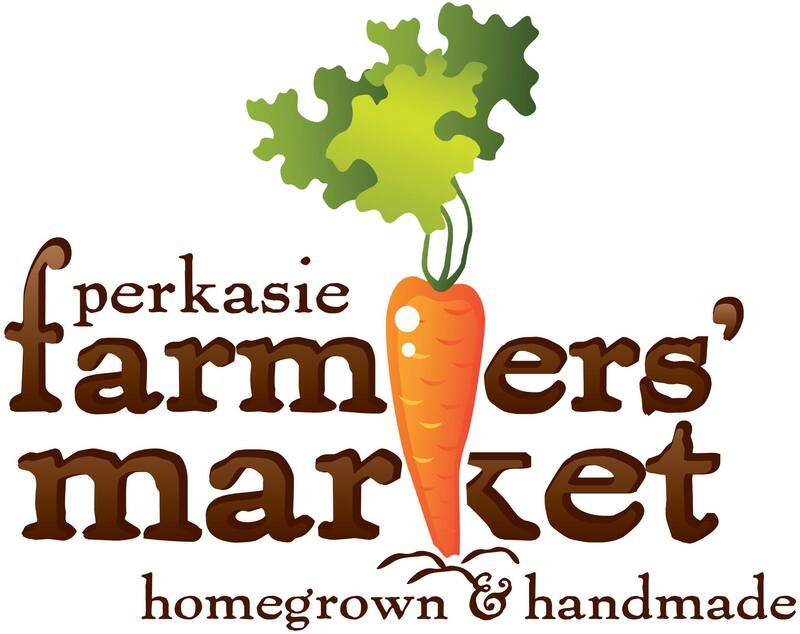 Any transient retail business within Perkasie Borough limits can operate only after obtaining an approved permit issued by the Perkasie Borough Police Department. Please stop in to Perkasie Police Department, 311 South 9th Street to fill out the application.Go to Fee Schedule for costs associated with retail transient licenses. An annual fee of $65 is imposed for the first amusement device used for profit within Borough limits and $25 for additional devices permitted under the same application. This fee is adjusted from time to time by resolution. A written application must accompany the annual fee which is due at the beginning of each year. It is unlawful to install, operate or maintain an amusement device without proper licensing and fee requirements. The license must be posted in a conspicuous place on the premises of the licensee. The license is not transferable to another party or another device. If the number of devices increases, an amended permit must be obtained. Borough code regulates the location and area of all types of signs including awnings, roof, vehicle window and real estate. A sign permit must be obtained before constructing and placing a sign on any property in the borough. Contact the Borough Manager with questions relating to signs or stop into Borough Hall to obtain a permit application. All buildings affronting a public street must display the street number of the property in Arabic figures at least 3 inches in height. The numbers should be placed so that they are easily read from the street to assist emergency vehicle drivers. Security alarms must be on a timing mechanism that will disengage alarm after no longer than 15 minutes. Reporting type alarm devices must report directly to the Bucks County Radio Room and repair service must be available 24 hours a day. Installation of alarms must be registered with the Perkasie Borough Police Department. A form may be obtained by calling 215-257-6876. False alarms, beginning with the third subsequent false alarm, will be subject to a $50 fine that helps cover the cost of response. The number of false alarms begins at -0- with each new year.